Lucy Dhegrae gives voice to the neurological aftermath of trauma in Brave, created by an all-female team of composers, performers, and stage director. Paul Pinto previews his new work for extended technique vocalist and drone, intended as a companion piece to Sir Peter Maxwell Davies’ Eight Songs for a Mad King. 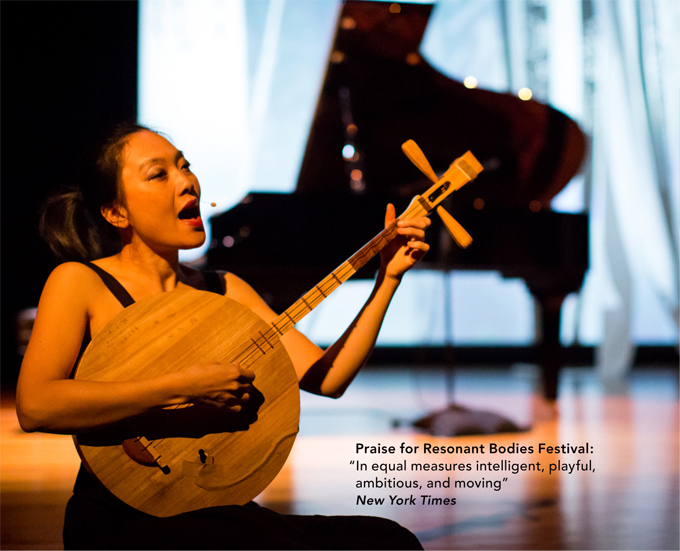 Jen Shyu’s Nine Doors interweaves her study of traditional music from five Asian countries with reflections on the parallels between life and death, different cultures, and the importance of empathy.